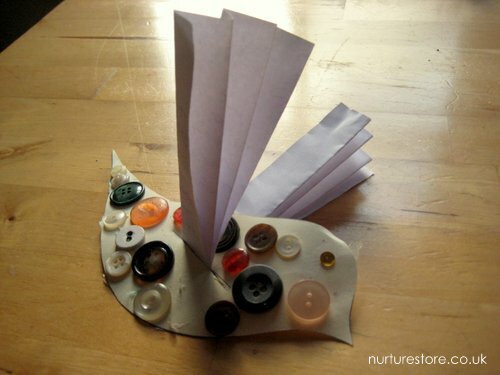 This creative writing activity invites children to combine art, writing and imagination as they turn a bird craft into the very special homemade book. We were lucky enough to attend a workshop with the textile artist BeckyAdams as part of the GobbleDEEbook Children’s Literature Festival. 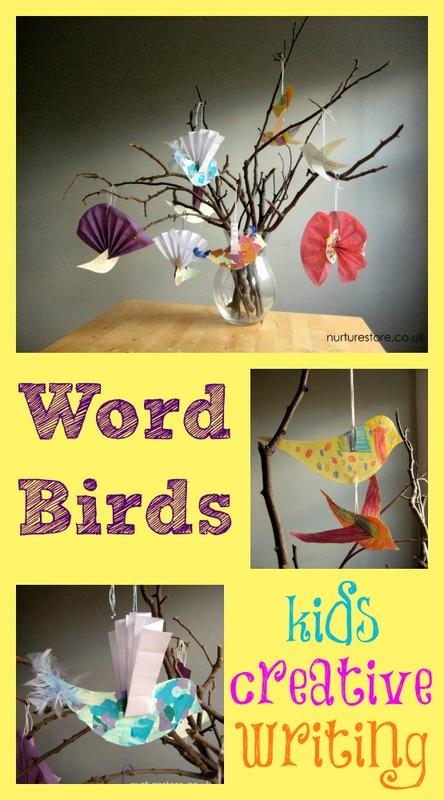 Becky introduced a creative writing idea that combined art, imagination and storytelling and invited everyone to make their very own Word Bird. 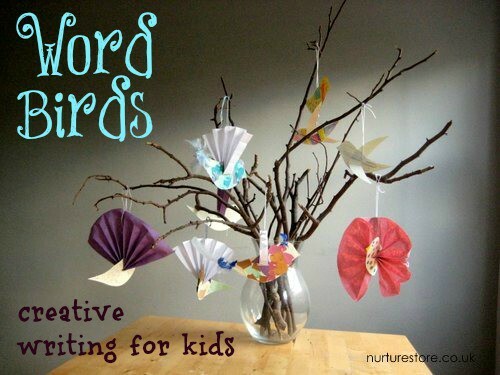 Here’s how our little flock turned out, and how you can make some Word Birds with your own children. 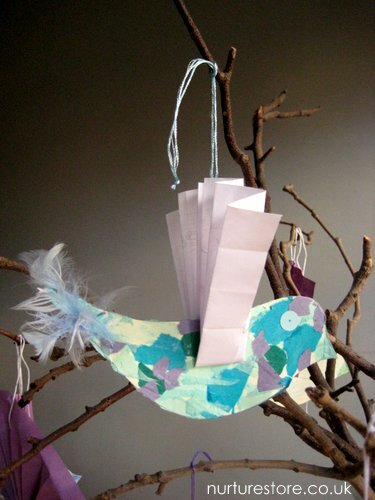 We all started with a simple bird template which we decorated any way we liked. If you take a look at Becky’s work you can see how she combines so many interesting textures and treasures. 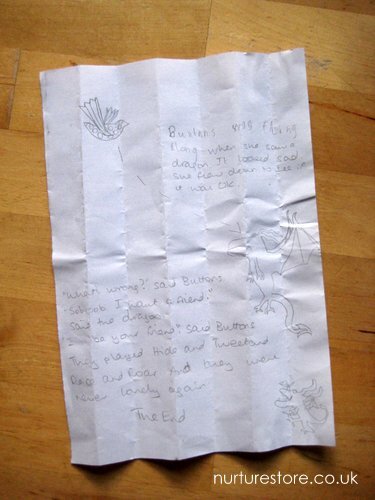 Materials on offer at the workshop included papers, tissue paper, buttons, maps, musical scores, sequins and feathers. 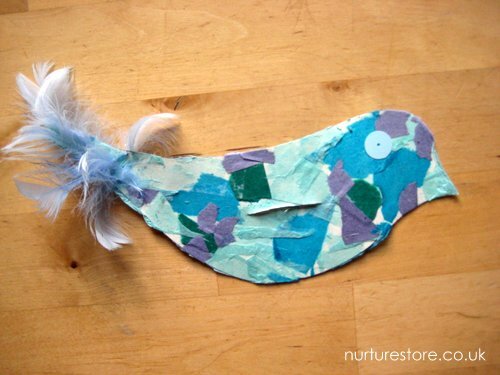 As we were making our birds we were imagining the stories they might tell: what were they called, where did they come from, who was their best friend, what did they like to eat, who might they meet..? Some had adventure stories. Some children drew and wrote their own, some dictated their tales, so the stories could flow and not get trapped by spellings. and threaded through a slot in the side of the bird to become their wings. so the stories could take flight. Some mother birds kept their chicks close by. 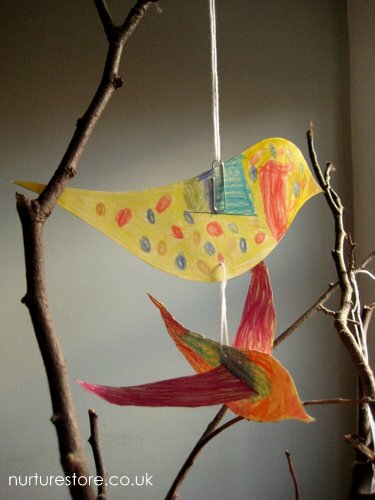 Back at home, our word birds gathered together on our storytelling tree, each with its own tale to tell. 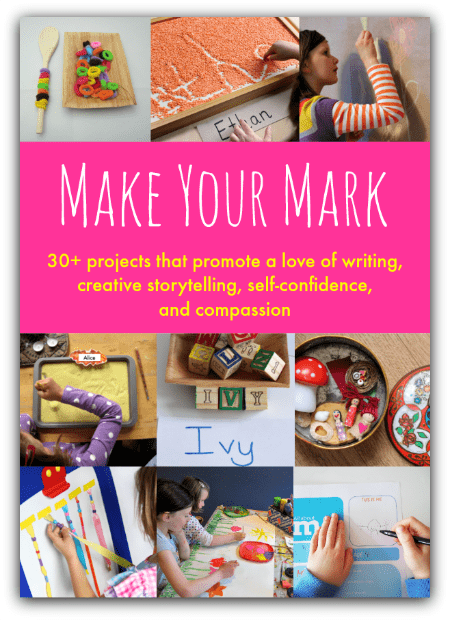 what a fun idea & a great way to get kids who love art interested in writing too. 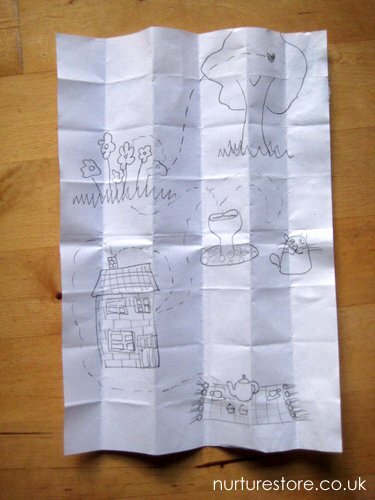 My oldest would enjoy something like this – thanks for sharing. Thanks Gina – one of my favourites too. What a lovely idea. May borrow this one myself! Help yourself Zoe! I’d love to see what you make with them. I love how unique each of this turned out. I will definitely be incorporating this into our next bird unit. I’d love to see how yours turn out Shaunna. That’s made my day Cat – thank you! 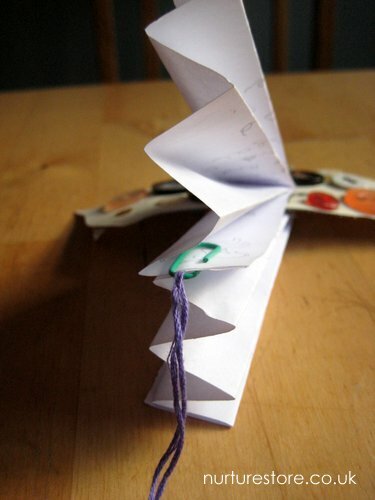 I love combining crafts with creative writing – brilliant! Me too Lilac. I also find it draws in kids who like one but perhaps think they don’t like the other. A great way to encourage them to try something different. What a wonderful idea. I just love how everything looks hanging from the branches. Lovely! I adore this idea! 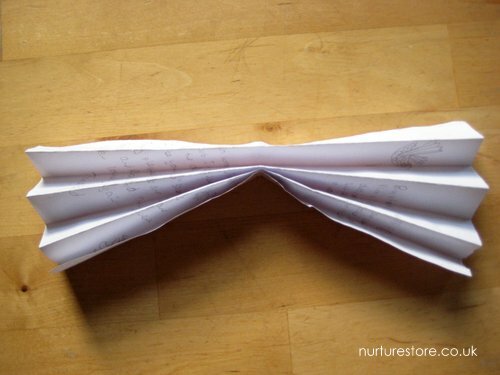 I am thinking about modifying it to make an adorable teacher gift! Jill, we’ve had them hanging in our entrance hall for a while now, and I just love them. Only taking them down to swap with something more Christmas-like. Everything everyone already said — gorgeous, creative, brilliant!!! Mixing art and storytelling is a wonderful way to encourage children to read and write. Another project that might be worth looking at is Rock Thoughts (www.rockthoughts.com). It is a global art and collaborative storytelling project that brings monster pet rocks to life with some very creative writing from kids all around the world.